Hot off the heels of the announcement of Asia’s 50 Best Restaurants, we’re recalibrating our palates this month with a host of new openings joining Hong Kong’s ever-evolving culinary tapestry. As the two most prolific cuisines in Hong Kong, it should come as no surprise that Chinese and Japanese restaurants rule the roost this month, but we’re intrigued about what new things they’re bringing to the scene. From Hong Kong’s first Wagyu tsukemen restaurant to a global omakase import which first garnered Michelin fame in Los Angeles, these are the new restaurants you’ll want to check out in April. 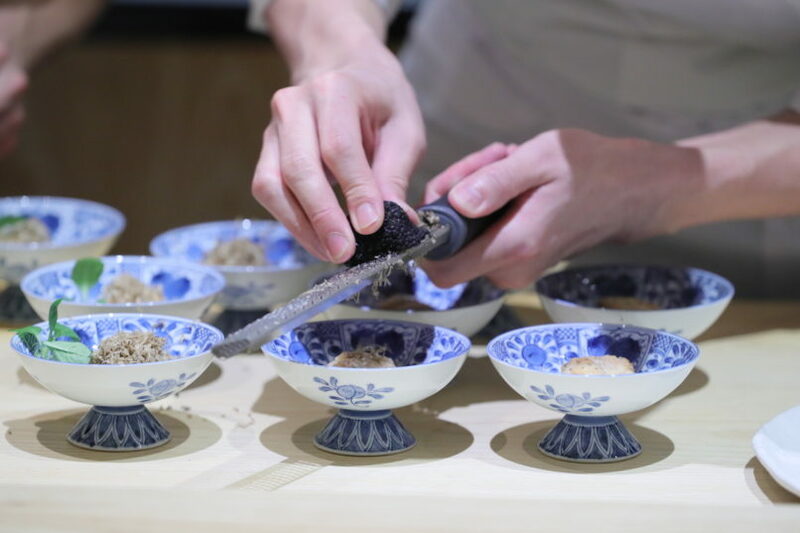 Home to restaurants such as Old Bailey, Aaharn and Statement, the cultural complex Tai Kwun is getting another anticipated dining venue this month with the opening of Sushi Zo, a famous omakase concept from Tokyo. Hong Kong joins other major cities — including Bangkok, New York and LA — to host this international sushi counter, founded by Osaka-born chef Keizo Seiki in 2006. At Sushi Zo, premium seasonal ingredients are parlayed into a beautiful 18-course menu of artistic, carefully composed dishes. Fresh fish forms the basis of the menu, but you’ll also find other premium seafood and hot items, with theatrics given as much emphasis as texture and temperature of the fish. Hong Kong has no shortage of omakase restaurants, but Sushi Zo is set to benefit from its historic location and global reputation. The restaurant will serve 14 people nightly (HK$2,500) for two sittings, with diners entrusting the chef to craft the menu from start to finish. To complement the food, drinks can be had pre- or post-dinner at Gishiki Lounge, where a cavernous teal and gold cavern presents a stark contrast to the zen-like minimalism of Sushi Zo. Mixologist Billy Lau heads up the bar here, with 18 craft cocktails which experiment with flavoured ice blocks and live siphon-brewed spirits served over dry ice. Japanese performances and contemporary late night DJs round out the multi-sensory experience. 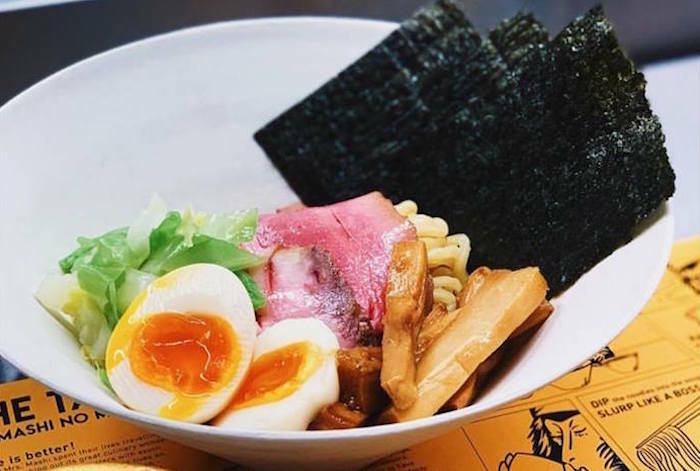 Riding on the waves of a recent endorsement from soccer star David Beckham, Mashi No Mashi has opened as the ramen counter appendage to members-only cult restaurant Wagyumafia. Luckily, this ramen counter is more democratic than it’s meat-centric counterpart: Anyone can pop in to sample the succinct menu featuring three Wagyu tsukemen bowl varieties (priced at HK$160 each), Wagyu donburi, and gyoza. The first Wagyu tsukemen restaurant to hit town, Mashi No Mashi serves ramen bowls that benefit from unrivalled sourcing of ingredients, from the chewy alkaline noodles to the fat-marbled Kobe beef (the same premium Ozaki beef from Miyazaki prefecture that’s used at Wagyumafia), and accents from crispy nori to crunchy bamboo. The beef and noodles are served alongside a umami-rich dipping sauce, which is savoured as a broth post-meal after extra stock is added. The Wagyu donburi is also a tempting option for those who prefer the lightly torched beef draped over rice instead. Don’t miss out on an order of gyoza for the table, stuffed with Wagyu beef, cabbage and leek. Sister restaurant to Lee Lo Mei on Lyndhurst Terrace, Lee Ho Sing is a casual takeaway and snacks eatery serving up classic Cantonese street food. The cheeky nomenclature from ZS Hospitality group continues here, with Lee Ho Sing translating to ‘you’re so smart’ in Cantonese, while the dishes retain the same quirky and playful vibes as the adjacent eatery. Here, traditional street foods are reinvented with quality ingredients — take, for instance, the homemade curry bowl, where Hong Kong’s ubiquitous fishballs are tossed with pig skin and squid in a flavourful 10-spice sauce. Deep-fried wontons, salted egg yolk-coated chicken nuggets, and flat noodles in XO sauce with 63-degree egg also feature on the takeaway menu. With ‘smart’ meant to be synonymous with ‘efficient’ — the fast food eatery aims to cater to Hongkongers’ constant need for quick and convenient meals that don’t compromise on freshness or flavour. After a lengthy renovation, the former Hullet House has been unveiled as House 1881, with five new F&B options to draw gastronomes to TST. Fortune Villa is the flagship of the group, a Cantonese fine-dining gem which serves exceptionally crafted dim sum with age-old recipes and locally-sourced ingredients. 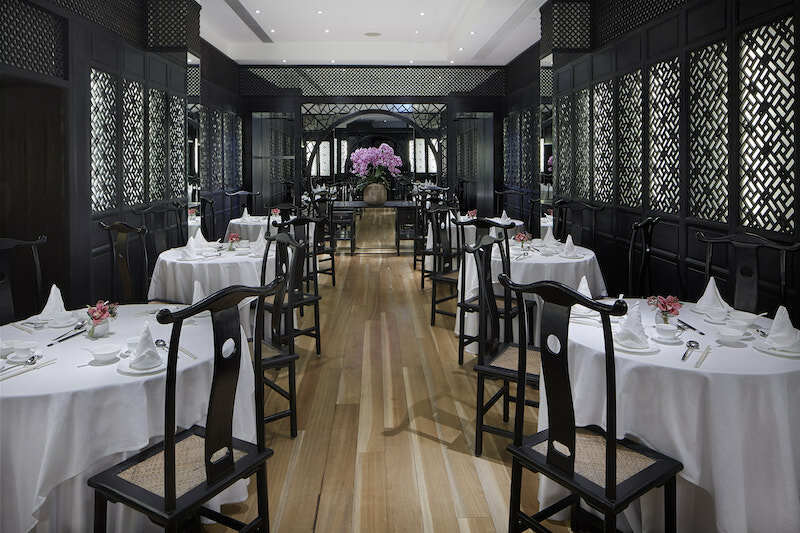 Fortune Villa’s opulent white-tablecloth setting is bolstered with elegant Chinese motifs and black lacquer, while the heritage space adds a ceremonial sense of occasion. The extensive menu includes BBQ roasted meats, Cantonese soups, poultry and meats, veggies and rice/noodle dishes, but it’s the dim sum that’s the real star here: Signature items include the baked abalone puff with diced chicken, pan-fried turnip cake, and steamed bean curd rolls with goose web. Supplement your dinner with excellent stir-fries such as wok-fried shrimps and leeks tossed in XO sauce, and sautéed lobster with chive and walnuts. Also lifting the portfolio of the newly revamped House 1881 is Stable Steak House, revamped from Stables Grill, named for its location on the property’s old horse stables (they’ve kept the original wooden stable doors, which open onto the breezy alfresco terrace). Catering to Western palates, this quintessential steakhouse experience features premium cuts of meat from around the globe, with the highlight being the generously fat-marbled A5 Japanese Wagyu beef. 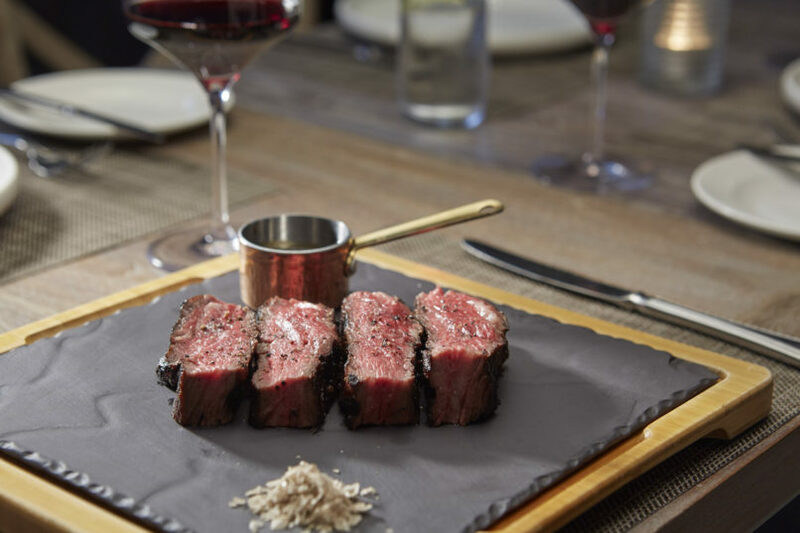 The steaks are complemented by a selection of over 40 different types of salt, and are washed down best with a full-bodied red wine recommended by one of the restaurant’s expert sommeliers. The menu is rounded out with dishes such as beef consommé, slow-cooked for 12 hours; rich and creamy lobster bisque; and whole rack of lamb. One floor up you’ll find Stable Bar, which serves as the after-hours hangout for the restaurant with a comprehensive menu of artisanal cocktails, from a classic Espresso Martini to a Smoked Negroni, and 102 types of gin — the largest gin collection in Kowloon. 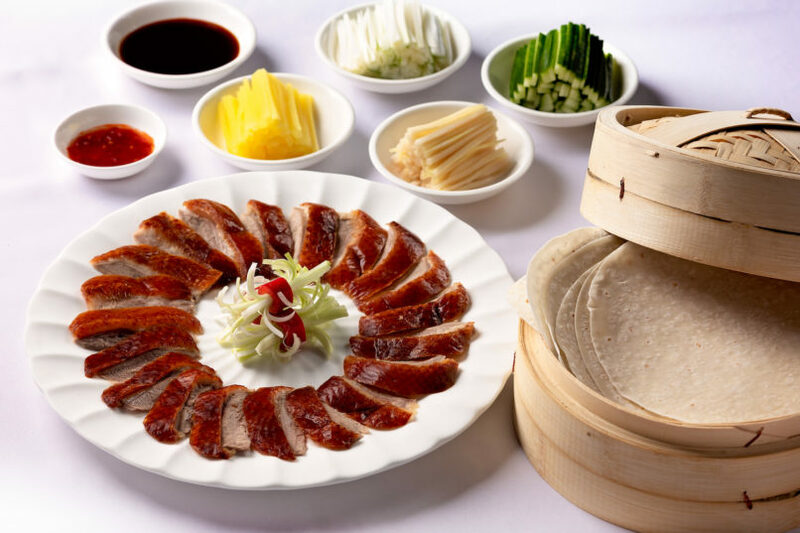 With a striking dining room accented by glinting jade features, Moon Lok Chinese Restaurant digs back into the culinary archives to shine a spotlight on traditional Chinese culinary preparations and dishes. 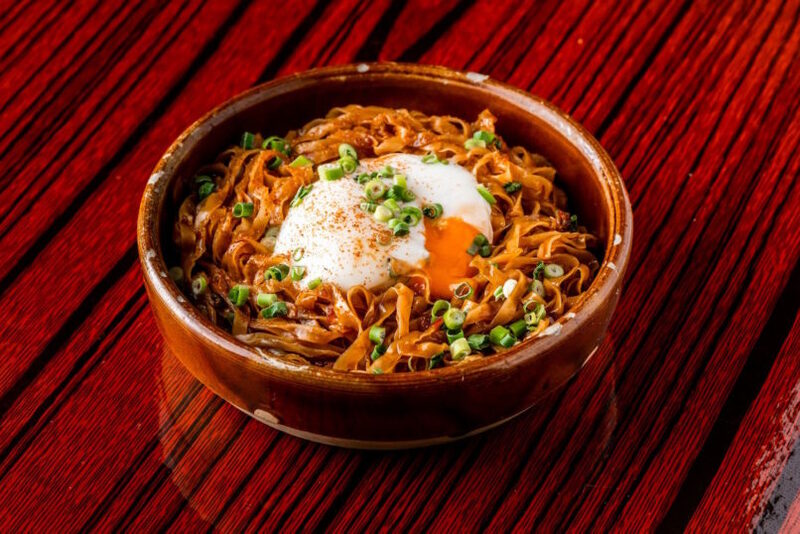 Operated by the same group as Pak Lok Chiu Chow, Moon Lok specialises in Chiu Chow cuisine but broadens its scope to incorporate various regional influences, presenting a diverse menu curated by Executive Chef Hui Mei Tak. The name translates to “Full of Happiness”, and diners are sure to find pockets of joy on the menu: There’s deep-fried Bombay duck fish with spiced salt; steamed whole crab with pork patty; and a signature Peking duck served with the classic accoutrements. Regional dishes include sweet and sour pork with pineapple and baked prawns tossed with peppercorns; while the kitchen also serves classic Cantonese soups such as double-boiled pig’s lung and almond soup. Jade-coloured walls and floral artwork evoke the essence of a tranquil Chinese garden for guests to truly relax and savour their meal. An urban oasis in Tung Chung, Mint & Basil celebrates Thai and Vietnamese classics, emphasising fresh flavours and quality ingredients. With a menu catering to both carnivores and vegetarians alike, Ming & Basil’s all-day dining outlet on Lantau Island celebrates the fiery, pungent and fresh flavours of Southeast Asian cuisine, with dishes best enjoyed on the spacious outdoor terrace surrounded by the greenery and swaying palm trees. Dig into the MSG-free menu starting with the Thai-style shrimp sashimi, pan-seared scallops with lychee salad, and a sinus-clearing bowl of tom yum soup. 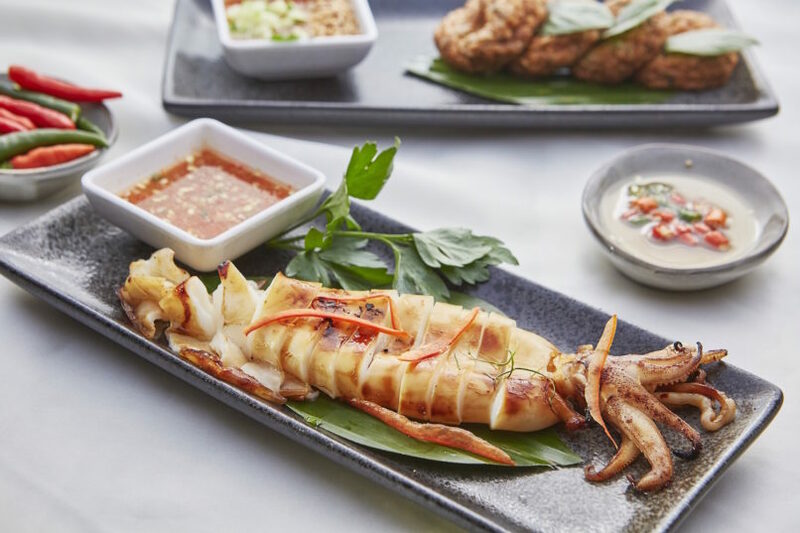 Mains range from decadent char-grilled whole squid dipped into nuoc cham, to roasted chicken with black pepper, and soothing bowls of pho filled with fresh herbs. For a heartier option, don’t miss the spice-ridden lamb shank curry, or the braised beef brisket on flat rice noodles. Soothing pastels and a vertical herb garden seduce guests to linger long after their meal with a tropical-inspired cocktail, while the eatery is also certifiably pet-friendly. Self-service restaurants have proliferated across Tsim Sha Tsui — the latest to join the group being Ya Rou Stone, where specialty beef gets sizzled on a flat-top at each individual table. The casual eatery draws its inspiration from the hordes of similar fast-service eateries across Japan: Simply choose your desired meat and weight from the touch-screen monitor — from tenderloin to beef cheek to ox tongue — and then wait as your food magically appears, to be cooked at your table on the hot lava stone to your preferred doneness. Approachable prices start from HK$88 for 200g of meat, while a variety of salts and side dishes such as mashed potatoes, clam-filled miso soup and a shredded cabbage salad drizzled in sesame dressing round out the satisfying spread. Wan Chai’s beloved Stone Nullah Tavern transforms into Fini’s this month, drawing on the proven Italian-American culinary expertise from the group, Red Sauce Hospitality (Frank’s Italian and Posto Pubblico). The new menu is a crowd-pleasing homage to mid-century Italian taverns and the cosy pizzerias scattered around New York and New Jersey. Channelling the effusive hospitality and sporting the flashy vintage neon signs of these old-school joints, Fini’s serves New York-style pies puffed up in the custom-made, open-flame copper dome oven, alongside a signature list of homemade pastas, Italian-inspired cocktails and an affordable wine list available by the carafe. 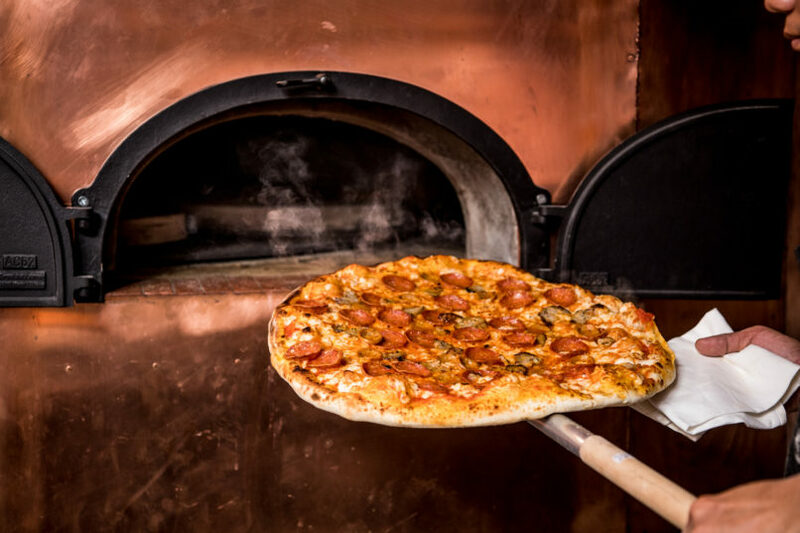 A playlist of classic soul tunes creates the soundtrack as guests tuck into new creations such as the Brooklyn Special (HK$248), made with mozzarella, fried eggplant, roasted garlic and peppers; and The Bronx ($258), a meaty combo of sausage, pepperoni and meatballs. Those still mourning Stone Nullah will be happy to hear that signatures such as the creamy mac ‘n’ cheese have made the leap over to the new menu, while a new happy hour kicks off on weekdays from 5–7pm. 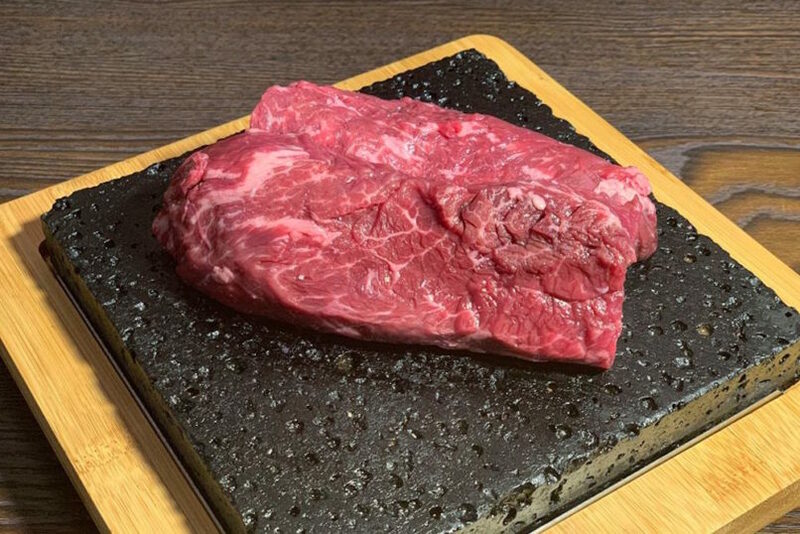 Beef fiends will want to make a beeline for Maruju Aburi Farm, newly opened with an impressive selection of high-quality Wagyu beef. 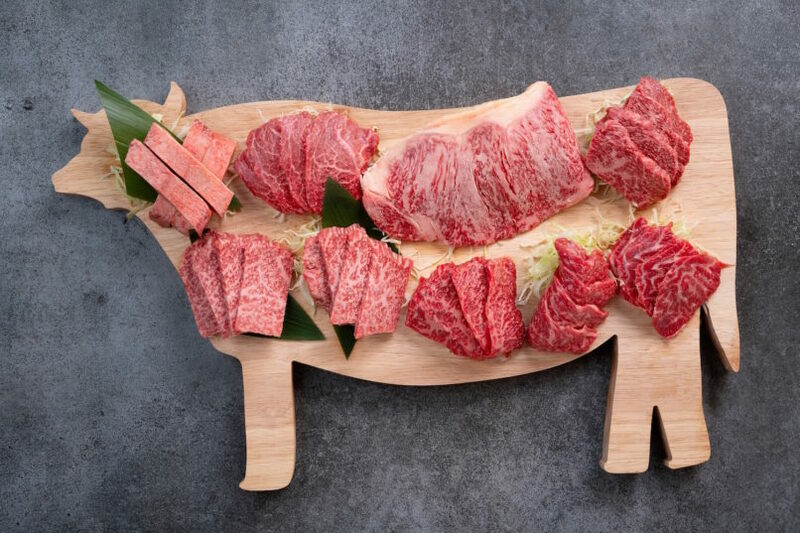 Adopting a farm-to-table supply chain, Maruju’s beef goes straight from the source to the table, with the restaurant directly delivering the best beef from across Japan to cut out the middle man. The affordable prices allow diners to sample more varieties, helped by an ever-changing menu and the introduction of new breeds. Try the Premium Whole Wagyu Beef Platter (HK$580) or go straight for specific cuts: from Wagyu beef tongue to tri-tip and rib cap. Maruju’s chefs are trained in different techniques, and diners can choose to have their beef prepared in a variety of styles, from yakiniku to beef tartare, or served in donburi and ramen.